The National Council of State Boards of Nursing (NCSBN), with the help of many experts within the nursing community, created the Learning Extension to help busy nursing students, nurses, and nurse educators meet their educational goals. Since 1998, the Learning Extension has reached 165,000 learners in 120 countries, and counting! NCSBN Learning Extension offers NCLEX review courses with comprehensive nursing content. Whether you are taking the NCLEX-PN or NCLEX-RN examination, you’ll access content organized according to the latest NCLEX Test Plans. 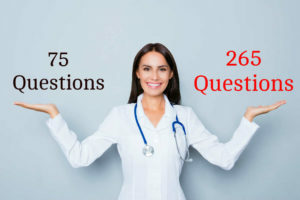 With NCLEX-style questions, diagnostic pretests, Q&A banks, a free subscription to Taber’s Online and many other study tools, you’ll be well on your way to success. Sign up now! For international nurses — The International Nurse Course Package gives you a special package price on access to the NCLEX review plus access to the Acclimation of International Nurses CE course. Since 1998, the Learning Extension has reached over 165,000 nurses in 120 countries! Access over 2,000 pages of comprehensive content, exam practice questions and many other interactive tools designed to help you succeed. Choose from four different subscription lengths to maximize your learning. Learn what state laws govern your practice of nursing. 2.0 contact hours. Balance your values and the right of your patient to self-determination. 4.8 contact hours. Explore the legal liability of your decisions as a nurse. 5.4 contact hours. Protect your nurse licensure by learning about the regulations that govern nursing practice. 4.8 contact hours. Explore how cultural diversity in healthcare affects your practice of nursing. 6.0 contact hours. Provide compassionate end-of-life care and improve pain management. 3.0 contact hours. Set appropriate boundaries that protect you and your client from "crossing the line." 3.9 contact hours. Think on your feet in today’s highly complex health environment. 3.6 contact hours. Understand dangers and create strategies to minimize risk. 6.9 contact hours. Learn how building a stronger trust with patients can lead to better outcomes. 5.4 contact hours. Help doctors prescribe care based on accurate information; prevent errors. 5.4 contact hours. Identify challenges and find resources to help you in the process of becoming a nurse in the U.S. 6.6 contact hours. Learn the "who, what, where and when" of nurse delegation. 4.2 contact hours. Learn why nurses are at risk, examine warning signs and explore options for reporting nurse drug abuse. 3.3 contact hours. Learn the nitty-gritty aspects of test writing from those who guided the development of the NCLEX exam. 17.5 contact hours. Assess your students’ critical thinking by learning to convert test questions into higher-level items. 15.6 contact hours. can u lend me the requirements that will be needed in getting those applications? open the website of whatever state that you are planning to take. like california board of nursing or virginia or new york board of nursing. And look for application form.Then you can print.